6 Selling Tips That Will Make Your Business Boom! 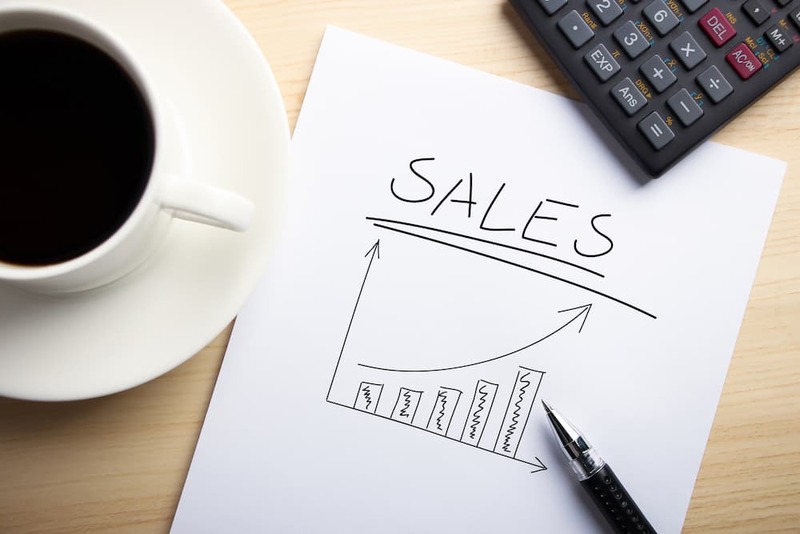 Selling is the lifeblood of business and a good sales team will make a MASSIVE difference to the bottom line. Selling is a learnt skill that can be improved with constant practice. Here are 6 selling tips we use to make many businesses boom. Constantly be on the look-out for people who have the potential to make good salespeople, even if a position is not currently available. Happy, friendly, approachable people should top your Most-Wanted list, because job skills can be taught but personality and attitude cannot. Other qualities include honesty, hard working, enthusiasm, and an ability to show initiative and be self-motivated. Knowing the person’s DISC behaviour type and combining that with establishing what each person’s values are will allow you to know in advance which person will fit into your culture and your team. Values are what drives an individual, these qualities and traits are extremely important to know these days as it is very expensive to make the wrong choice because you were uninformed. The best way to establish what each person’s behaviours and values are is by having a Full DISC Combo report completed, which we have been doing for companies for many years. If you’d like more information about having one done for you or your team please email us at office@impact-training.net. Your existing staff members are a good place to start looking for potential candidates. Include job advertisements in the pay packets of your employees or display in the staff room. The advantage of recruiting internally is that you don’t have to worry about whether they will fit into your club culture and way of doing business. All staff, not just your sales team, should know about the eight-step selling cycle: prospecting, initial contact, qualification, the tour/explanation, price presentation, overcoming objections, closing the sale and referrals. When people understand the big picture of a business they feel pride in their knowledge and are more likely to become informed advocates for your club. Also, have your sales staff tour and present to the instructors, and have the instructors train the salespeople. When each experience’s the other’s job first hand they develop a healthy respect for each other and are more willing to work as a cohesive team. After any type of workshop training or seminar, the implementation and reinforcement process is the key to ensuring that a sales and management team learns and implements all the new selling skills. Continual reinforcement is the major catalyst to ensure success in the utilization of these sales techniques and strategies. To make any training effective, it must be an ongoing process and reinforced regularly by senior staff and management. Finding something in common in the first 2 minutes will increase the probability of a sale because the prospect will open up to you and tell you the truth. Many salespeople say they understand how to create commonality but when you take a good look at most sales professionals in action, this skill is done poorly and commonality is not established. Salespeople who are able to master this magical skill and combine it with a sales process are usually more successful, have the highest closing rates and make the most amount of sales. An easy rule to follow is to make commonality a priority, this will assist in creating enough rapport with the prospect. Once rapport has been created and sustained the prospect will buy from you easily. PLEASE NOTE: Laughing together (not a nervous giggle) is a sure fire way to establishing commonality thus rapport. Once rapport has been established, a successful sales professional will always qualify their prospects. The art of qualification is between 80% to 90% of the success of a sale. If you have established enough rapport the prospect will allow you to find out what their problems, challenges or frustrations are. This is crucial; as all salespeople must know that the number one motivator of human behaviour is to avoid pain/frustration, then move towards pleasure. So once the prospect has discussed their pains/frustrations to the salesperson, they can then explain how their products or services will be the solution (because people buy the feeling). Some great questions to use (done in a casual manner, almost tongue in cheek) after the problem and solution has been established are “How good will you be feeling once you’ve (solution)?” listen chit chat about the outcome positively, and then ask, “How would you feel in comparison if you did nothing and you stayed in the same condition as you are in now (state a reason e.g. for your 10 year school reunion)?” listen, then say “don’t worry by (using your product or service) you be well on the way to (rectifying the problem)” Conclude with a question, “are you looking forward to that?” or “how good will that be?” Smile & Nod “Well let’s make that happen!” This can only be done if rapport & commonality have been established. Remember to always give the client what they want. Many sales are lost because the salesperson thought they knew best. Listen to what your prospect tells you then tailor each tour or explanation of your product or service to give them a personalised solution. Teach them some ways to achieve their result and show them you and your team are experts in doing that. Every purchase is an endeavour by the prospect to find a solution to their problem. If a person comes to a club and after rapport is established they tell you they want to lose weight because they think they are too big for their liking, all you need to do is ensure that they really want the result and then show them how your club & services will help them get the solution thus reducing their problem. Give the prospect what they want, inspire them by confirming you and your team are experts and they will buy. The tour of the club will make or break your sale if you prove you can help them achieve their results and feel positive and that they belong there, then the close will be virtually done. A selling fact is that 68% of sales are not made because they are not asked for. Time and time again sales are lost because the salesperson is uncomfortable about asking because they fear rejection. If everything else has been done well then closing the sale should be a natural progression in the conversation. One easy thing to do to increase closing rates is to test close regularly throughout your presentation. This is done by asking questions to test the buying temperature. The more small agreements you receive will assist the prospect to make a larger one later on. The more specific you make a test close the more effective it will be, for example, many people use the test close “can you see yourself training here” this is not effective as it is not tailored nor specific. To improve this test close make it specific “So Christine can you see yourself working with your trainer at the club to reduce weight around your tummy and thighs so that you’re ready for your holiday in December? How good is that going to be?” Listen and chat about the positive. Then always confirm convenience “And training 3 times a week on Monday, Wednesday & Saturday is convenient for you?” Listen and acknowledge! The plain fact is that closing is done by just asking a few questions once the solution has been presented. When closing the sale you can give the prospect two ways for them to buy, this will increase your success. To make this easy for you just use alternative choice questions like “so which way are you leaning more towards, is it the (A way) or the (B way)” then ask for the sale. Or in this day and age, you can assume and do a Recommendation Close “From what we’ve discussed today my recommendation is that you must train 2 to 3 times a week and that is convenient for you isn’t it?” Listen “so lets start you on (x) Way and get you ready for the reunion, are you looking forward to that?” Listen, “Ok lets do this”. Never ask them to pay as this will take the prospect into a logical way of thinking and this helps create objections, so always ask the prospect to “Fix it up”, “Take care of that” or “Look after that” and then give them two options, “how would you like to take care of that savings or credit?” The complete closing sequence should be practiced daily and must be second nature for a salesperson to perform.